Ankle arthritis is a common problem and requires careful management to maintain motion while minimizing pain. The first line of treatment is oral medications, but stem cell injections are being used frequently to reduce the inflammation in the ankle that causes the pain. When this is not effective, arthroscopy can remove irritating tissue. At Florida Orthopaedic Institute, these minimally invasive procedures are designed to prevent the need for an open operation. When arthritic pain and deformity prevents patients from maintaining a normal lifestyle, either an ankle replacement or ankle fusion is the next step. For those patients that are not candidates for an ankle replacement, ankle fusions remain the gold standard. Patients can walk without a limp using modern techniques to remove minimal amounts of bone and position the ankle so the joint below moves well. 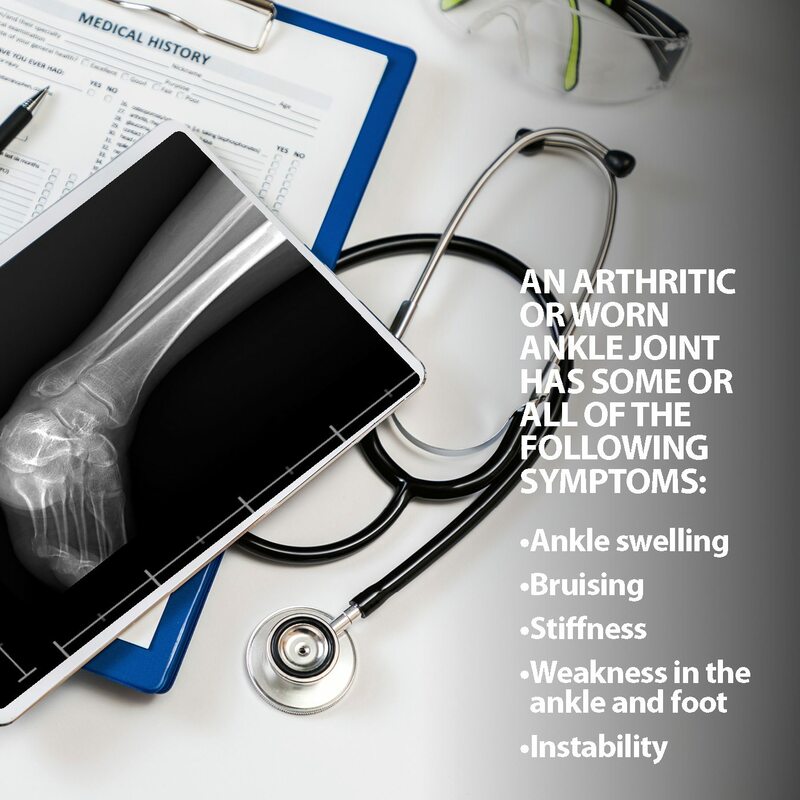 Ankle arthritis occurs when the cartilage covering the ends of the bones that form the ankle joint degenerate. When there’s movement in the arthritic ankle, pain typically increases. Ankle fusion (arthrodesis) takes the ankle bones and mechanically joins them into one. By eliminating the motion, pain is reduced in the arthritic joint. Ligaments help to hold the ankle joints together. Tendons attach muscles to bone. 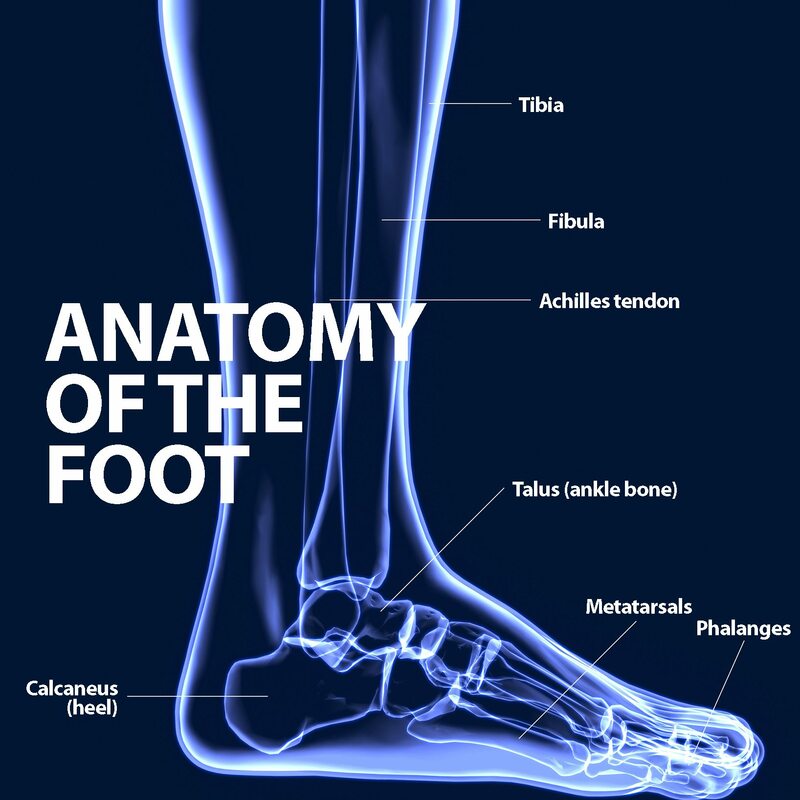 The Achilles tendon is the most powerful in the foot and allows for the range of motion to be at its peak. Cartilage is the firm, white, and flexible connective tissue in articulated joints. In the ankle, the cartilage lining is one-quarter of an inch thick and allows for both the softness of shock absorption and the toughness to last a lifetime. Ankle arthritis affects the bone and cartilage. Will I lose all the motion in my ankle? The majority of up-and-down motion comes from your ankle joint. While ankle fusion decreases this movement, there is remaining movement in the other foot joints. Depending on the type of fusion performed, the heel can move from side to side and the middle of the foot can move up and down. What is the recovery time after surgery? The recovery time for ankle fusion surgery usually takes 6 to 16 weeks before you can put weight on the ankle and leg. Time varies by patient. Will I walk with a limp after ankle fusion? Ankle fusion will change how you walk. But with proper shoes, most patients do not limp. A fused ankle does not usually result in a fully rigid foot. Are there things I should avoid after an ankle fusion? The ankle is quite durable once it has been fused. Patients with fused ankles work physically demanding jobs, and enjoy outdoor activities such as walking, hiking, and biking. While the fused ankle will never function exactly like a normal ankle, we encourage you to discuss your specific return activities with your physician. Will the plates or screws be removed? Hardware is not typically removed, unless it is close to the skin and causes irritation or if an infection develops. The amount and type of the hardware in an ankle fusion does not usually set off metal detectors. At first, you’ll wear a cast and keep your leg elevated. You’ll be on crutches for several weeks followed by physical therapy to learn how to walk smoothly. Most patients are fitted with special shoes to protect and compress the feet. 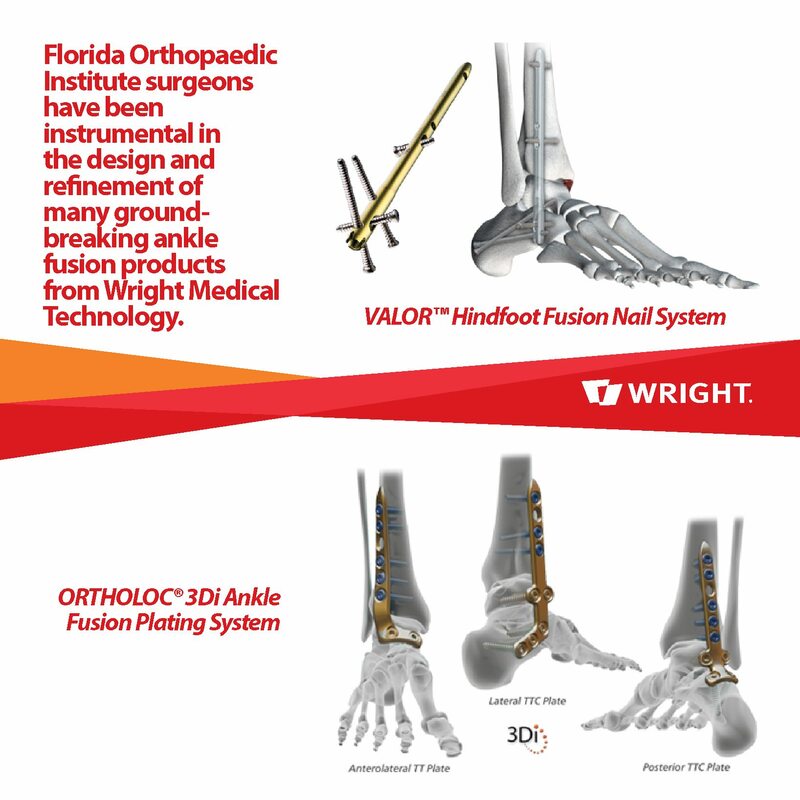 Surgeons at Florida Orthopaedic Institute use several of the ankle fusion products from Wright Medical Technology. These same surgeons have been instrumental in the design and refinement of many of these products. Wright has led the way with an impressive history of ground-breaking products for the foot and ankle industry. These include the ORTHOLOC® 3Di Ankle Fusion Plating System and the VALOR™ Hindfoot Fusion Nail System.